720p refers to a progressive HDTV signal with 720 horizontal lines and an Aspect Ratio (AR) of 16:9 (1.78:1). All major High Definition (HD) TV broadcasting standards include a 720p format which has a resolution of 1280x720, however there are other formats, including HDV and AVCHD for camcorders, which utilize 720p images with the standard HDTV resolution. The number '720' stands for the 720 horizontal scan lines of image display resolution (also known as 720 pixels of vertical resolution), while the letter p stands for progressive scan or non-interlaced. When broadcast at 60[note 1] frames per second, 720p features the highest temporal (motion) resolution possible under the ATSC and DVB standards. 720i (720 lines interlaced) is an erroneous term found in numerous sources and publications. Typically, it is a typographical error in which the author is referring to the 720p HDTV format. 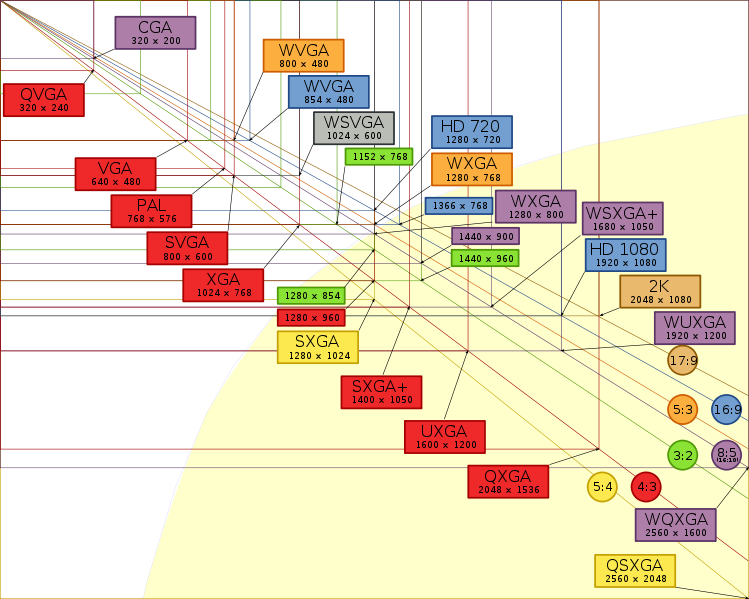 However, in some cases it is incorrectly presented as an actual alternative format to 720p In fact, no proposed or existing broadcast standard permits 720 interlaced lines in a video frame at any frame rate.720i can also refer to technology in which only half the lines are shown each scan. Progressive scanning reduces the need to prevent twitter (flicker) by anti-aliasing single high contrast horizontal lines. It is also easier to perform high-quality 50/60 Hz conversion and slow-motion clips with progressive video. In high-motion scenes, 720p has higher vertical resolution than 1080i (720 lines versus 540 lines), making it preferable for sporting events such as auto racing, basketball that move at a very fast pace on live television and Video Games. The main advantage for 720p is to reduce the 3:2 artifact in transfer from 24 frame/s film to 480i or 1080i 30 frame/s 60 Hz. The 576i and 1080i 25 frame/s 50 Hz modes do not have pull down artifacts as film frames are simply played at 25 frames and the pitch corrected on audio by 24/25ths. Unlike 480i 29.97 frame/s and 1080i 29.97 frame/s, the 576i and 1080i 25 frame/s 50 Hz can be easily converted to progressive if the source was 24 frame/s film. As a result while 720p is used for USA broadcast (1280x720p is same bandwidth approximately as 1920x1080i), since standard definition European TV is 576 rather than 480 lines visible, 720p mode is less of an improvement. Therefore many European HD broadcasts use 1440x1080i or 1920x1080i (25 frame/s, 50 Hz) depending on bandwidth constraints. The Flemish Broadcasting Company, VRT, in Belgium and the Norwegian Broadcasting Corporation, NRK, both use 720p.